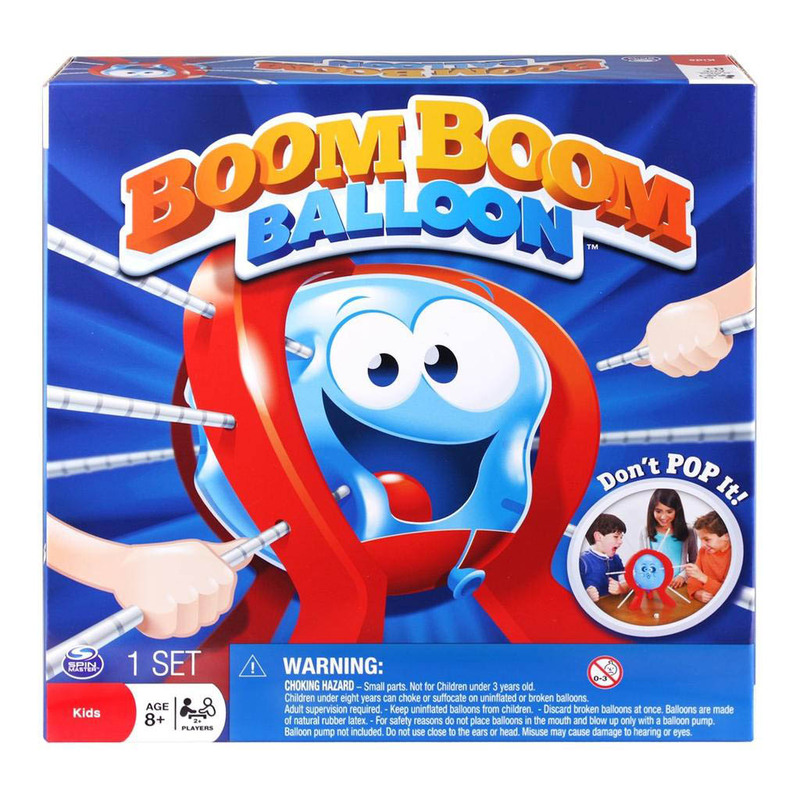 It’s Boom Boom Balloon, the crazy game where you take turns at trying not to pop the balloon! Roll the die, and carefully push in a stick until it clicks. Watch as the balloon changes shape and in one more click the balloon will surely pop! It’s the ultimate game of anticipation where you never know when the balloon will pop! 2+ Players. 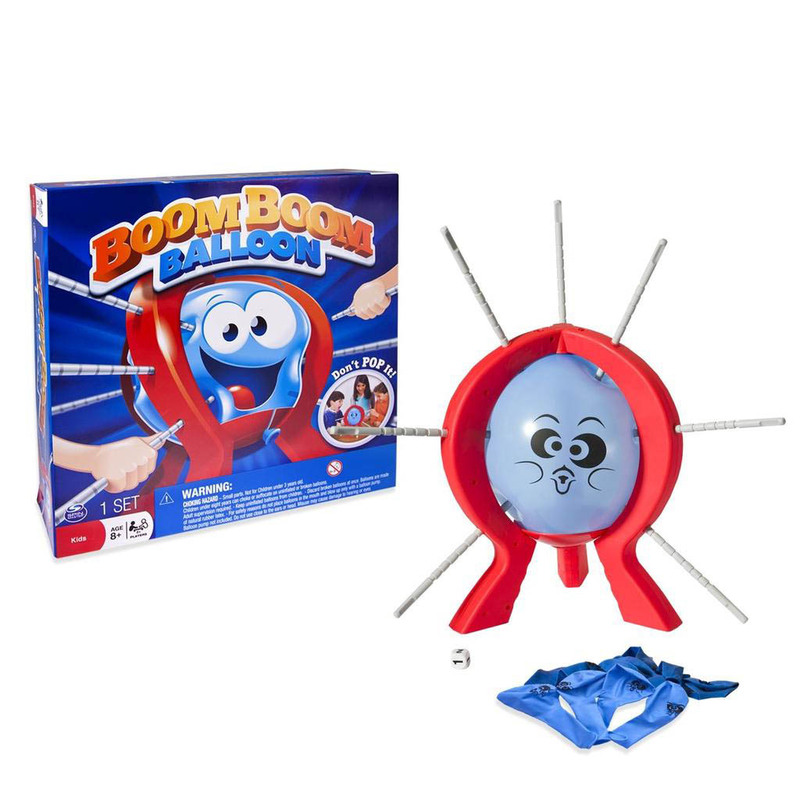 Includes 1 Balloon Frame, 12 Balloons, Die and 10 Sticks. For ages 8 years and over. 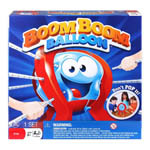 Boom Boom Ballon is the crazy game where each player takes turns at trying not to pop the balloon! Be careful! too many clicks and the balloon will go boom! You just never know when it’s going to happen!